Enjoy the top 104 famous quotes, sayings and quotations by Caitlyn Jenner. I wish I were kind of normal. It would be so much more simple. Trans people deserve something vital; they deserve your respect. From that respect comes a more compassionate community. I am not a spokesperson for the trans community, I am not. The media kind of projects me as being the spokesperson, but from my standpoint, I am not. I am a spokesperson for my story, and that's all I can tell. I don't have anything Olympic in our house - no pictures, none of that stuff. Consciously I do that. With 10 children, I don't want to hold that over their heads. In the fifth grade I discovered something I could do better than the other kids. One day, the teacher set up a bunch of chairs, and she had everyone run to the chairs and back while she timed us. I had the fastest time in the whole school! 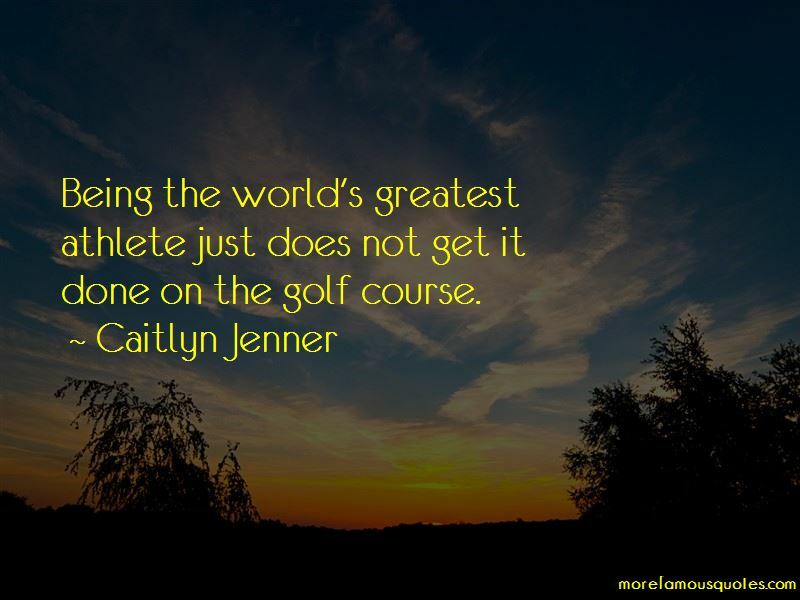 Want to see more pictures of Caitlyn Jenner quotes? Click on image of Caitlyn Jenner quotes to view full size.